#1. This week's number one is an international swingman Pedro Chourio (186-90, agency: Pro Sports, currently plays in Argentina). He could not help Estudiantes Concordia (2-9) in their last game. Despite Chourio's very good performance Estudiantes Concordia was edged 71-70 on the road by the second-ranked Regatas Corrientes. He was the second best scorer with 18 points. Chourio also added 7 rebounds in 32 minutes on the court. It was Estudiantes Concordia's fourth consecutive loss in a row. But this is still an early stage of the season and everything may happen. This year Chourio averages: 7.9ppg, 4.8rpg, 2FGP: 38.5%, 3FGP: 37.5% and FT: 55.6% in 10 games he played so far. Ex-Trotamundos de Carabobo player is currently a member of the Venezuelan senior national team. #2. Second place goes to an experienced international center Windi Graterol (204-86, also represented by Pro Sports, currently plays in Brazil). He was not able to help Brasilia (3-12) in their last game on Tuesday. Despite Graterol's good performance the bottom-ranked Brasilia was defeated 80-76 at home by the much higher-ranked Mogi (#3). He scored 11 points and grabbed 4 rebounds. Graterol has relatively good stats this season: 12.1ppg, 6.1rpg, 2FGP: 57.6%(68-118), 3FGP: 33.3%. Ex-Cocodrilos de Caracas player is in the roster of the Venezuelan senior national team. #3. The Venezuelan player who performed third best last week abroad was an international center Gregory Echenique (206-90, agency: Pensack Sports, college: Creighton, currently plays in Japan). 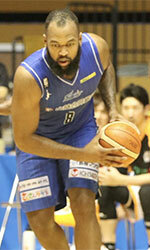 He led Shimane Magic to a victory over the second-ranked Cyberdyne IR (22-11) crushing them 107-73 in the Japanese B2 League on Saturday night. Echenique was MVP of the game. He had a double-double by scoring 28 points and getting 10 rebounds. Echenique also added 2 blocks in 34 minutes. It was the game of the round between two top 3 ranked teams in group West. Shimane Susanoo Magic (23-10) is placed third. It was his team's third consecutive victory in a row. The Regular Season already ended. Echenique has individually a very good year with high stats. He averages: 19.4ppg, 14.4rpg, 2.4apg, 1.6bpg, 2FGP: 62.8%(218-347) and FT: 75.3% in 29 games. Echenique is also a member of the Venezuelan senior national team. #4. Swingman Dwight Lewis (197-87, college: USC, currently plays in Argentina) contributed to Gimnasia's victory against one of league's weakest teams Bahia Basket (1-6) 85-76 in the Argentinian La Liga in Saturday night's game. He scored 13 points and grabbed 4 rebounds. Gimnasia y Esgrima Comodoro Rivadavia (7-2) is placed third in the La Liga. It was his team's sixth consecutive victory in a row. But the season just started, so everything may happen. This year Lewis has relatively solid stats: 12.5ppg, 2.0rpg and 1.9apg. He is a naturalized American. Lewis is also Venezuelan national team player. He used to play for Trotamundos de Carabobo in Venezuelan league. #5. Former international small forward Donta Smith (201-83, college: SE Illinois JC, currently plays in France) contributed to Pau-Lacq-Orthez's victory against one of league's weakest teams Provence Basket (4-13) 84-77 in the French ProA last Saturday. Smith recorded 8 points and added 4 passes in 32 minutes. Elan Bearnais Pau-Lacq-Orthez (11-5) is placed second in the ProA. It was his team's third consecutive victory in a row. It's Smith's first season with the team. He has reliable stats this year: 13.4ppg, 6.6rpg, 4.4apg and 1.2spg in 16 games. Smith is a naturalized American. He used to play for the Venezuelan national team four years ago. Smith played also for Marinos de Anzoategui in Venezuelan league. #6. Forward Miguel Ruiz (197-90, another player represented by Pro Sports, currently plays in Uruguay) contributed to Trouville's victory against the closely-ranked Atletico Welcome (6-14) 81-71 in a derby game in the Uruguayan LUB on Friday night. He scored 6 points and grabbed 10 rebounds. Club Trouville Montevideo (10-9) is placed ninth in the LUB. The Regular Season already ended. Ruiz's overall stats this season are: 4.9ppg, 10.3rpg, 1.4apg and 2.1spg. He is an international player who is currently on the senior Venezuelan National Team roster. #7. Former international point guard John Cox (195-81, another player represented by Pensack Sports, college: USF, currently plays in France) contributed to a Sluc Nancy's victory against the closely-ranked Entente Orleans 45 (10-5) 76-71 in the French ProB (second division) in Saturday night's game. Cox recorded 13 points and blocked 2 blocks in 27 minutes. It was the game of the round between two top 4 ranked teams. Sluc Nancy Basket Pro (10-5) is placed fourth in the ProB. It was his team's third consecutive victory in a row. Cox's stats this year are: 10.7ppg, 1.8rpg and 2.4apg in 15 games. He is a naturalized American. Cox used to play for the Venezuelan national team two years ago. He played also for Marinos de Anzoategui in Venezuelan league. #8. Guard Jhornan Zamora (196-89, currently plays in Spain) was not able to secure a victory for Ourense (10-8) in their last game on Saturday. Despite Zamora's very good performance Ourense was edged 83-80 on their home court in Ourense by the higher-ranked CB Granada (#4). He was the top scorer with 20 points. Zamora also added 5 passes. This season Zamora has very high stats. He averages: 16.4ppg, 3.1rpg, 2.1apg and 1.4spg. Zamora plays currently for the Venezuelan national team. #9. Former international center Luis Julio (201-80, currently plays in Chile) was the main contributor in Aleman's victory against the fourth-ranked AB Ancud (11-11) 77-68 in the Chilean Liga Nacional last Saturday. Julio was the best player in that game. He scored 24 points and grabbed 8 rebounds in 31 minutes. CD Aleman Puerto Varas Concepcion (13-10) is placed third in Conferencia Sur. There are only three games left until the end of the Regular Season. So now every game will be critical. Julio averaged so far 14.0ppg, 10.5rpg and 2.5apg in 22 games. He used to play for the Venezuelan national team ten years ago. #10. Point guard Harold Cazorla (175-91, currently plays in Spain) helped Fontedoso Carrefour win their game against the fourth-ranked Zamorano (11-7) 66-63 in the Spanish LEB Silver (third division) on Sunday night. Cazorla scored 9 points, grabbed 8 rebounds and dished 4 assists. Avila Autentica Carrefour (8-10) is placed ninth in West group. There are only four games left until the end of the Regular Season. So now every game is very crucial. Cazorla's overall stats this season are: 9.9ppg, 4.4rpg, 4.9apg and 2.5spg. He is a former international player as two years ago he still played for the Venezuelan senior national team. #11. Former U18 international forward Jose Martinez Suarez (196-82, currently plays in Argentina) helped Independiente win their game against the eighth-ranked Sportivo America crushing them 83-57 in the Argentinian La Liga Argentina (second division) in Thursday night's game. Martinez Suarez scored 15 points and grabbed 9 rebounds in 30 minutes. Martinez Suarez averaged so far 10.1ppg, 5.0rpg and 1.1apg in 16 games. He used to play for the Venezuelan U18 national team nineteen years ago. #12. Former international forward Luis Valera (202-88, college: UTRGV, currently plays in Spain) helped Azuqueca win their game against the 12th-ranked Vic 95-87 in the Spanish LEB Silver (third division) last Saturday. 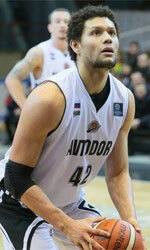 Valera scored 14 points and grabbed 4 rebounds. Valera's overall stats this season are: 7.8ppg and 2.9rpg. He used to play for the Venezuelan national team back in 2015. #13. Former international forward Juan Herrera (197-81, currently plays in Mexico) helped Lenadores win their game against the fifth-ranked Laguneros 102-92 in the Mexican LNBP (second division) in Saturday night's game. He scored 12 points and added 3 assists. Herrera's overall stats this season are: 8.6ppg, 4.5rpg and 1.6apg. He used to play for the Venezuelan national team nine years ago. #1. Osbel Caraballo (196-F-98, currently plays in NCAA2) led St. Thomas Aquinas College to a victory against the Queens College (NY) 88-82 in the NCAA2 on Wednesday night. He scored 16 points and grabbed 5 rebounds in 31 minutes. The St. Thomas Aquinas College has 3-0 record this season. So far his team won all three games in the Regular Season. Caraballo averaged so far 14.2ppg and 6.9rpg in 14 games he played so far. #2. Juan Fontena (196-F-87, currently plays in Chile). He could not help Osorno Basquetbol (8-15) to beat Los Leones (14-8). Fontena scored 9 points. But the sixth-placed Osorno Basquetbol (8-15) was badly defeated 105-89 on the road by the second-ranked Los Leones in the Conferencia Sur. There are only three games left until the end of the Regular Season. So now every game will be critical. Fontena's overall stats this season are: 7.7ppg, 5.4rpg and 2.1apg. He has a dual citizenship: Venezuelan and Chilean. #3. Luis Merida (190-G-92, currently plays in Chile) was not able to help Universidad Catolica in their game against Las Animas (16-5) in the Chilean Liga Nacional. Merida scored 7 points in only 11 minutes. The fifth-placed Universidad Catolica (2-6) was crushed 108-71 in Valdivia by the leading Las Animas in the Conferencia Centro. It was Universidad Catolica's fourth consecutive loss in a row. There are only three games left until the end of the Regular Season. So now every game is very crucial. This year Merida's overall stats are: 6.2ppg and 2.2rpg in 20 games.